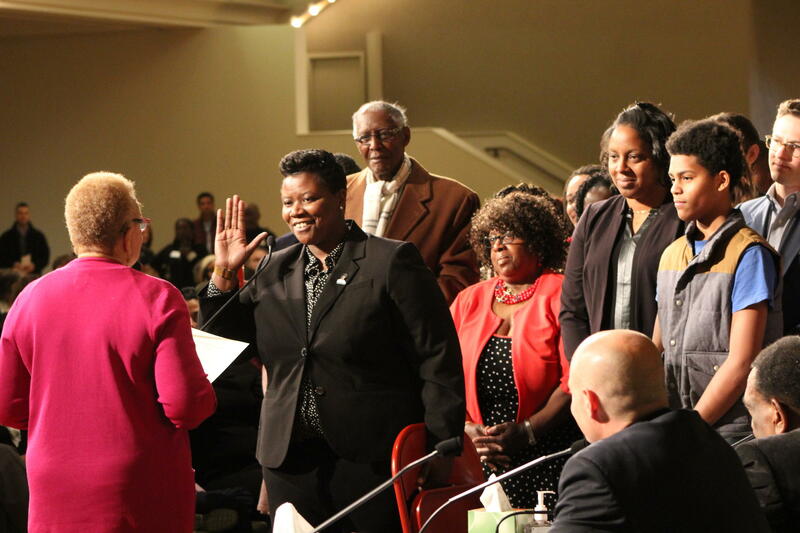 Newly elected council member Tamaya Dennard takes the oath of office holding a red folding chair, echoing a campaign motto of "If they don't give you a seat at the table, bring a folding chair." Cincinnati's new City Council took office at mid-day Tuesday in a ceremony in the Music Hall ballroom that was at times moving and inspirational. It was a ceremony launching the second term for Mayor John Cranley, who won re-election last fall with 53.5 percent of the vote, making broad, sweeping promises about what the city can achieve and criticizing the "naysayers"
The new Cincinnati City Council was sworn in Tuesday at the Music Hall ballroom. It was a ceremony full of harmony and pledges of cooperation – an atmosphere not untypical of an inaugural day, but one that could just as easily fall apart when the new council begins meeting next week and starts tackling the difficult problems the city faces. It was a moving ceremony, in that the new vice mayor, Christopher Smitherman, took the oath of office with his wife, Pamela, who has been battling breast cancer, sitting at his side in a wheel chair; while another council member, Wendell Young, spoke movingly of how, during his serious illness last fall, his wife Kathy was the difference between him living and dying. Council Member and Vice Mayor Christopher Smitherman takes the oath of office with his wife, Pamela, at his side. It was inspirational in that the three new members of City Council – Democrats Greg Landsman and Tamaya Dennard and Republican Jeff Pastor – all spoke of their desire to work together with the veteran council members and try to avoid the bickering of the past. "In order to make real, lasting change, the power will be in people working together," said the 41-year-old Landsman, who was the driving force behind the Preschool Promise program approved by voters in 2016. Dennard, who finished sixth in the voting in her first run for public office, talked of being raised in poverty in College Hill and how improbable it is that she could rise out of that life and achieve what she has achieved. 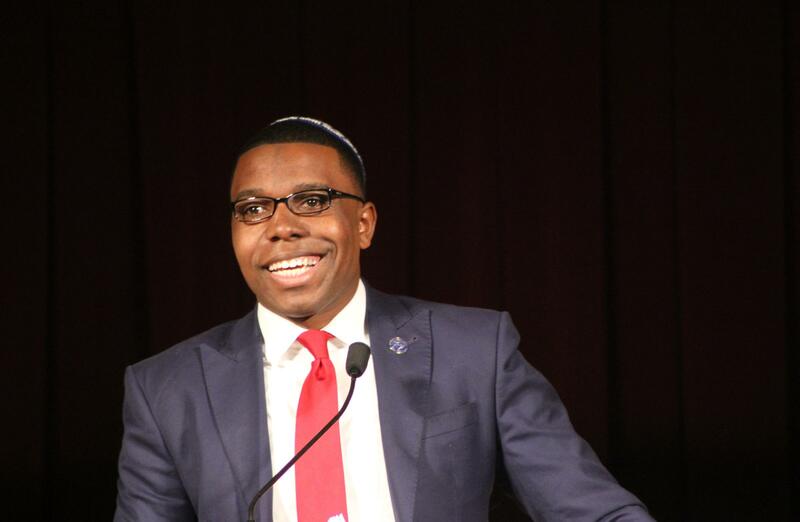 "My mother, struggling to put food on the table, used to tell me, it's not what people call you, but what you answer to," said Dennard, a former council aide to Democrat P.G. Sittenfeld. She brought with her a folding chair, a symbol, she said, of her belief that "when you don't get a seat at the table, bring your own." Dennard was also sworn in as president pro-tempore of City Council, meaning she would serve in the mayor's role if the mayor and vice mayor aren't present. Council Member Jeff Pastor thanked friends and supporters for helping him overcome the "naysayers." 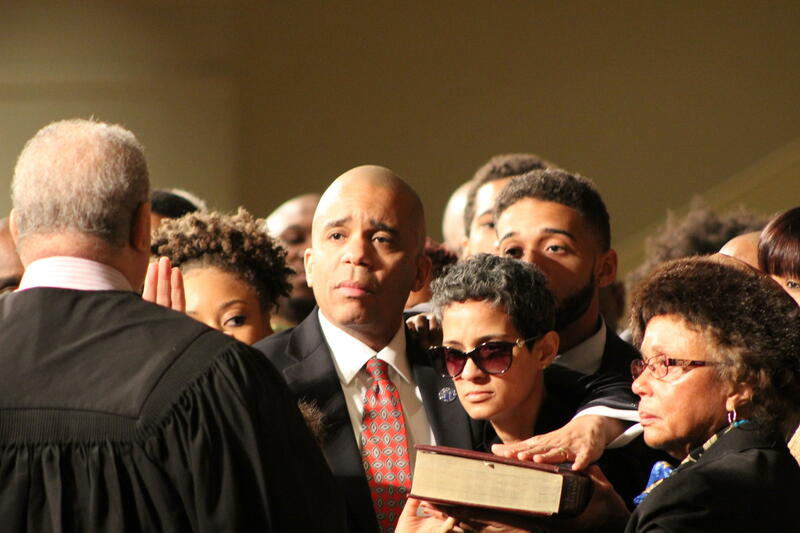 Pastor, an African-American Republican who was a complete unknown a year ago, was sworn into office by Ohio Supreme Court Justice Patrick Fischer of Cincinnati. He was a teacher at a charter school in the West End, but became executive director of a non-profit foundation during the campaign. Pastor said he overcame tough circumstances as a child to become a college graduate, a member of the U.S. Navy Reserve, and, now, a Cincinnati council member. "I was raised by a mother who worked three jobs to make ends meet; we had a drug-addicted step-parent in our family," Pastor said. "I am not supposed to be here." But, he said, he was elected through hard work and determination – and the help of many people along the way. "You will always be able to count on me for honesty, transparency and the will to get things done," Pastor said. 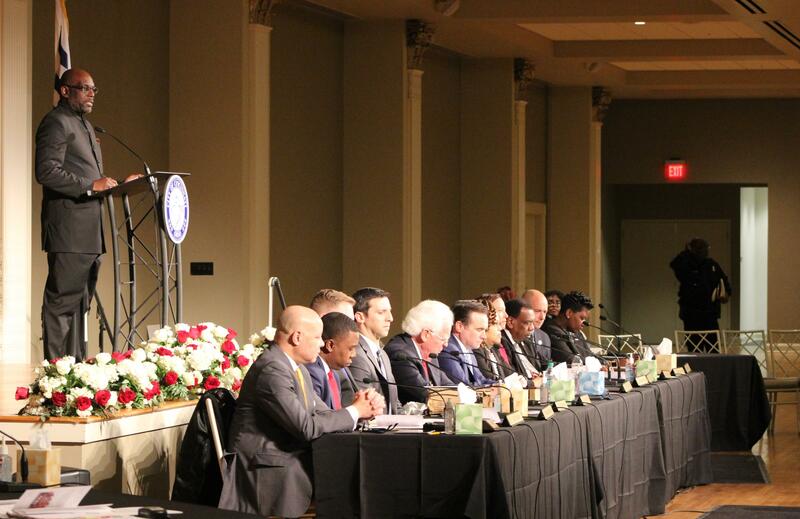 Nearly 500 packed the ballroom to watch as the nine members of council were sworn in and to hear Cranley lay out his vision for his second and final term as mayor. Cranley said he intends to continue "pro-growth policies that have been working." Many of the city's largest corporations – he named Macy's, Procter & Gamble and Kroger among them – face challenges "that are out of our control." "That's why we must always look to diversify our economy," Cranley said. He repeated some promises he made last year during the campaign – that he would work over the next four years toward the goal of "100 percent renewable energy by 2035; and cutting our poverty rate in half in the same period," along with an increase in the city's population to over 350,000 by 2050. According to the U.S. Census Bureau, the city had a population of 298,800 in 2016. "People have been writing Cincinnati off for 50 years," Cranley said. "They say we can't be the city of hope, love and opportunity. I say we can." There was an outpouring of love and appreciation from the crowd in the ballroom when Smitherman made his brief remarks and spoke directly to his wife, seated in her wheelchair below the podium. "This entire election is dedicated to my wife, Pamela, who has so much courage," said Smitherman. "We have been married 27 years and we expect to celebrate 28." The crowd rose to its feet and gave Smitherman, his wife and his family prolonged applause. and Pastor, chair of the Neighborhoods Committee. Not surprisingly, Cranley's most vocal opponents on the old council (and presumably on the new council as well) Wendell Young and Chris Seelbach, were snubbed by the mayor for committee chairmanships. The new council members won't have much time to celebrate taking their oaths of office. Next week, when this new council begins its first week of committee meetings and a Wednesday council meeting, they are going to be smacked in the face with a very difficult decision right out of the box. At the last meeting of the old council in December, a council majority approved $50 million in new spending, without an inkling of where the money would come from. 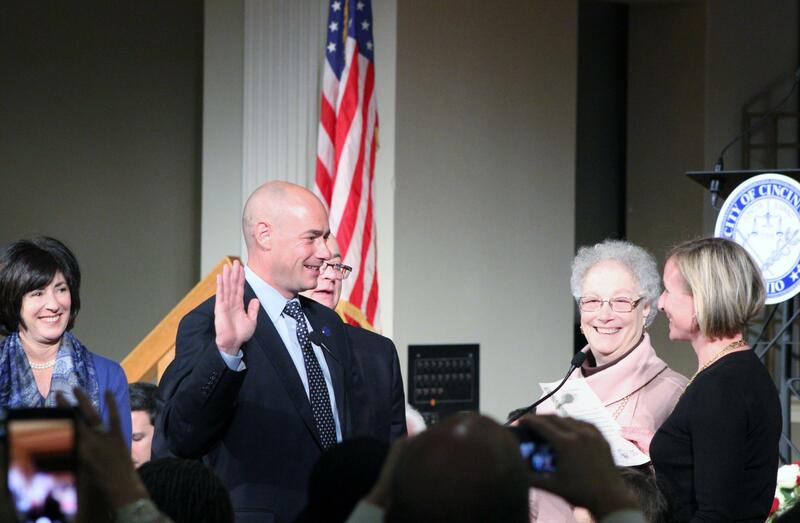 Council Member Greg Landsman smiled and laughed after stumbling over some of his lines during his swearing-in. City Manager Harry Black weighed in before the end of the year, proposing a one mill increase on the city's property tax for debt service to pay for all the things council wants to do. So, the new council will be faced with a deciding whether to do something no politician relishes doing – raising taxes. The $50 million approved by the old council includes $33 million for the city's portion of the Western Hills Viaduct repair, $10 million for a new firefighters' training facility, and $7 million for upgrading the restrooms in the city's fire stations. Look for the new council to try to find a way to avoid making its first act a tax increase, although it is not yet clear how they will do that. On Tuesday morning, at Music Hall, Cincinnati's re-elected mayor and the nine council members elected in November will take their oaths of office for four year terms. Six of those council members will be incumbents returning for a final term on council before the term limits law kicks in. Three will be brand-new council members, two of which won as first-time candidates. On the surface, it may not look as if much has changed. "On the surface" is the operable phrase there. 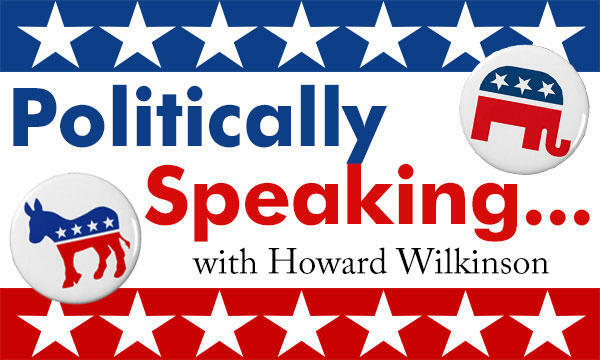 Let’s look at the newcomers and the people whose seats they will be taking.